Dussehra, a widely celebrated Indian festival, also known as Vijayadashmi is the culmination of the 9 – day Navaratri celebrations. A festival marking the death of Demon King from Lanka Ravan and his son Meghanath and brother Kumbhkaran by brother-duo Rama and Lakshman. It is seen as a victory of good over evil. The epic Ramayana, describes this story of Rama and Ravan in which Rama after his marriage with Sita was exiled for 14 years where one day his wife Sita was abducted by Ravan. With the help of a troop of Monkey Men and brother Lakshman, Ram attacked Lanka and rescued his wife. For many days, a fierce battle between the 2 armies ensued. Ram found it difficult to defeat Ravan so he prayed to 9 different aspects of Goddess Durga for 9 consecutive days to gather the strength to beat Ravan. 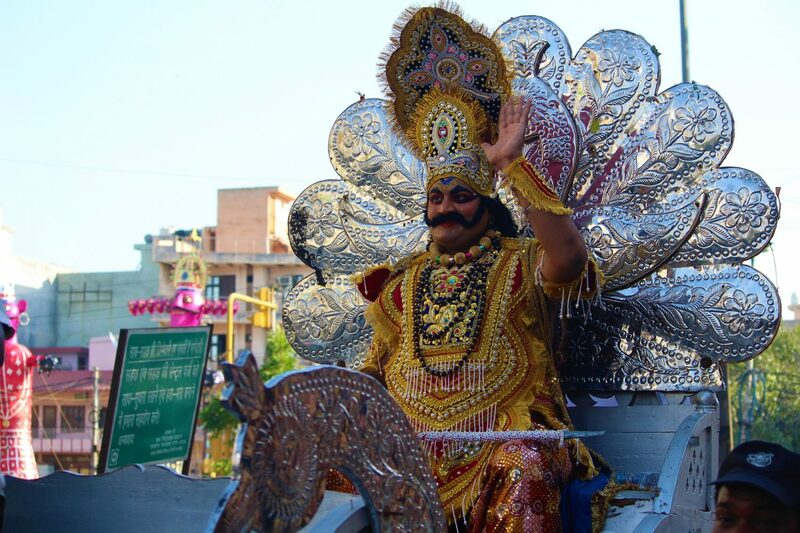 Dussehra celebrated the victory of Ram over Ravan in a festival spread out for over 10 days. The day also marks an end of Durga Puja where people worship Goddess Durga’s victory over the buffalo demon Mahishasur to help restore Dharma. In the northern, southern and western states, the festival is synonymously called Dussehra (also spelled Dasara, Dashahara). 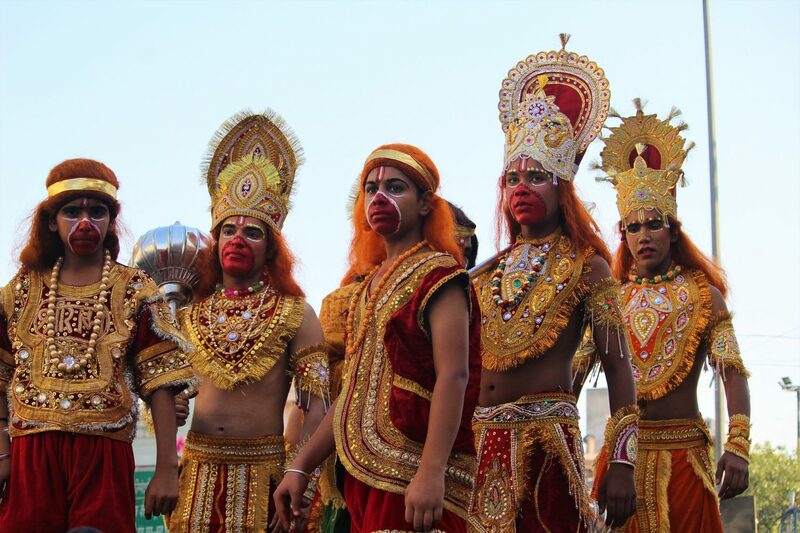 In these regions, it marks the end of “Ramlila” and remembers God Rama’s victory over the demon Ravana, or alternatively, it marks a reverence for one of the aspects of goddess Devi such as Durga or Saraswati. Goddess Durga led a battle against Mahishasur for 9 days and nights and on 10th day she killed Mahishasur and that is why different manifestations of Goddess Durga are worshipped during the 9 day long Navratri festival every year. One of the main highlight of this festival is Dussehra Mela where various Stalls and Mini Shops and Foot Joints are set up for Shopping, Eating and Purchasing. 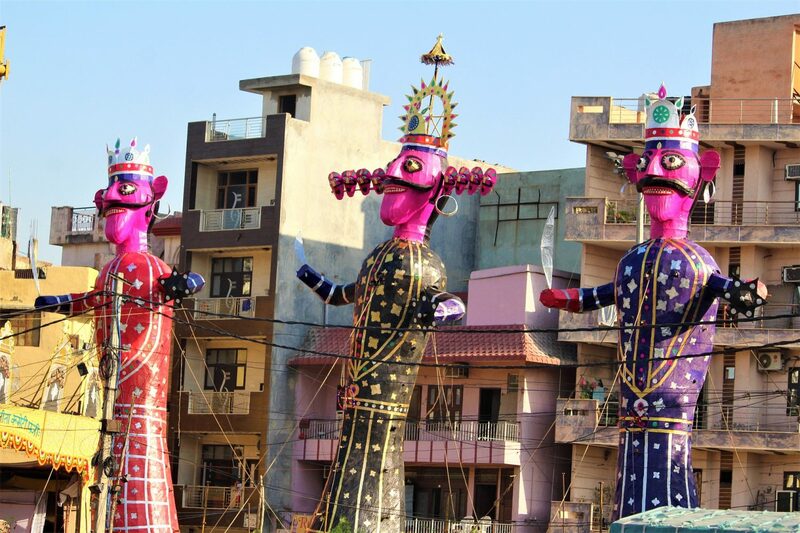 The city gathers up in different grounds where enjoy the Mela and see the effigies of Ravan along with his son and brother being burnt and Ramayan stage shows where men and women perform the acts of Ramayan and display the story through their acting. 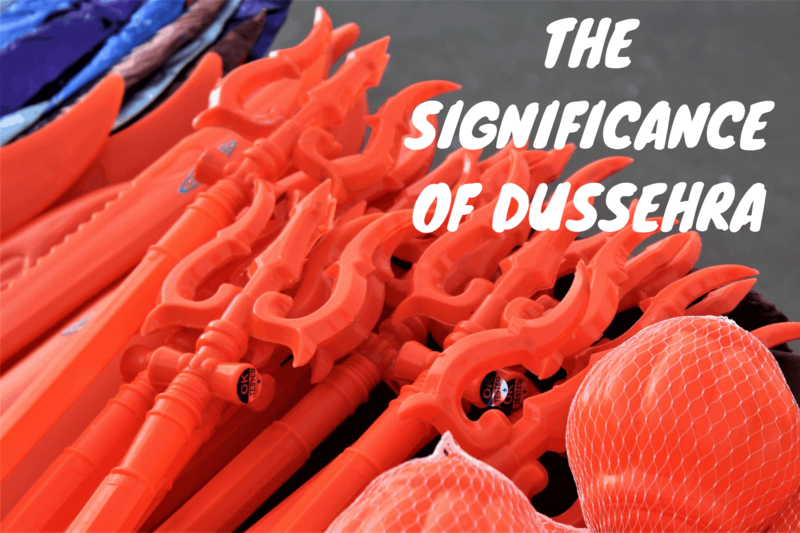 In different parts of the country, dussehra is celebrated in different ways depending on its significance. Dussehra in KULU: Kulu is a small town in Himachal Pradesh where dussehra celebration starts 3 days after they do in the rest of India since 150 years ago when Maharaja Ranjit Singh was the ruler of Punjab because the powerful maharaj wished all the kings to be present in Kulu for the celebration who paid him homage. These rulers used to leave immediately after the celebrations in their kingdom ends and head towards Kulu and it took them 3 days to reach there. Since then this practice was established and continued ever since. 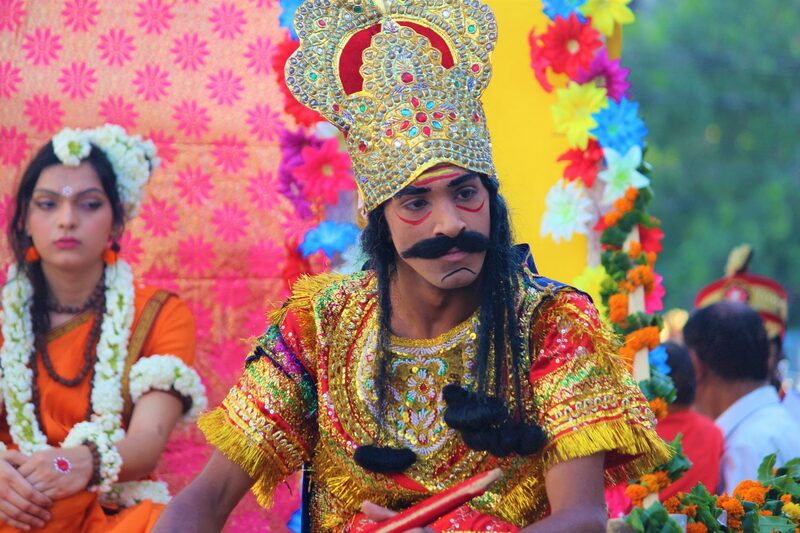 Dussehra in MYSORE: In the Southern state of Karnataka the celebrations take a different turn. Instead of Ravan and his brother and son, 5 animals – a Rooster, a Fish, a Crab, a Lamb and a Buffalo are sacrificed. Dussehra is a royal celebration in Mysore. The local people celebrate Durga Puja too. The festive celebration in Mysore attracts many tourists from Indian and abroad. It has always been a royal event. BOMMAI KOLU of TAMIL NADU: Lakshmi; the Goddess of Wealth and Prosperity is worshipped in Tamil Nadu, Saraswati; the Goddess of Learning and Arts and Shakti(Durga); the Goddess of Power are worshipped. In Karnataka, Tamil Nadu and Andhra Pradesh, families arrange dolls (Bommai Kolu) on specially built steps. The festival also depicts the immortal love and respect that Ram and Sita had for each other. Lord Ram is an ideal husband and Goddess Sita is an ideal wife. The marriage of Rama with Sita is celebrated with great love and joy and show. The marriage procession passes through the main streets of the city. A huge number of people gather together on the streets to watch it. On the day of Saraswati Puja anyone who has to study for exams or school or college, keep the books before Goddess of Learning with a hope that the owner of the books will do well and no one is suppose to study that day. In Kerala, Vijayadashmi is an auspicious occasion for children to start their education in classical dance and music and pay homage to their teacher. This was just a small flavour of how diverse our country is when it comes to culture. Hope you have understood how and why it is celebrated in different parts of India. Happy Dussehra People! « What Should You Look For While Choosing The Right Playschool For Your Child? Hi, thanks for sharing a detail list of Dussehra celebration throughout India.